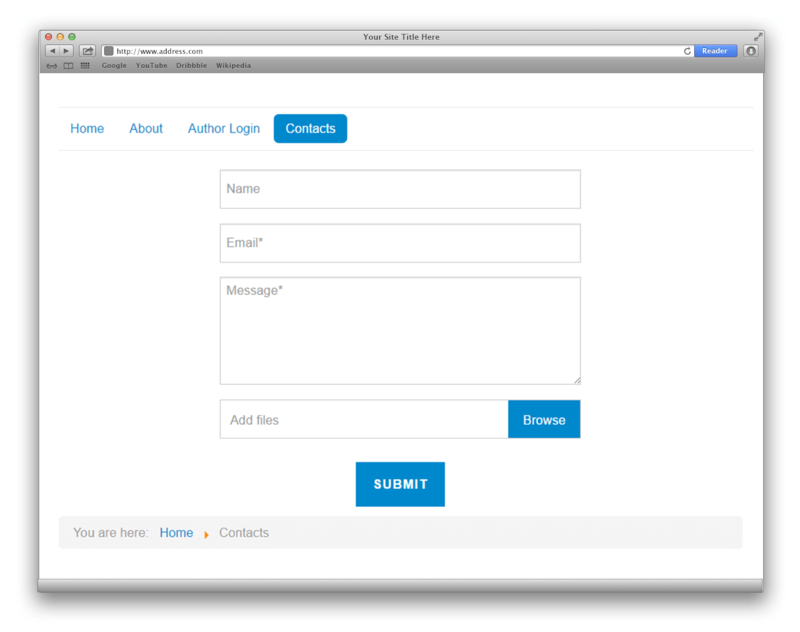 Customize contact form fields as you want. Fields, textareas, selects, checkboxes and other controls for your pleasure. Create default or popup forms. 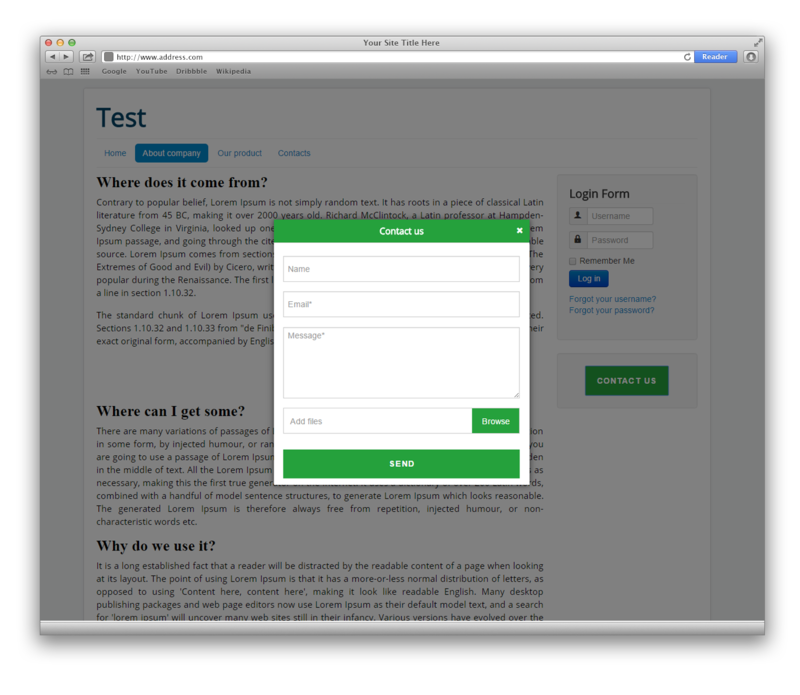 Call the modal box on click of a button, text, menu item, any element you want. 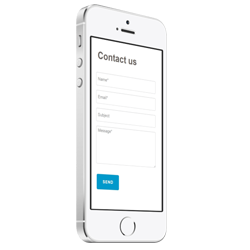 With Contactus you can add multiple forms on the same page. Module has Google Anayltics and Yandex Metrika goals template. Fill a few fields and track form submissions. 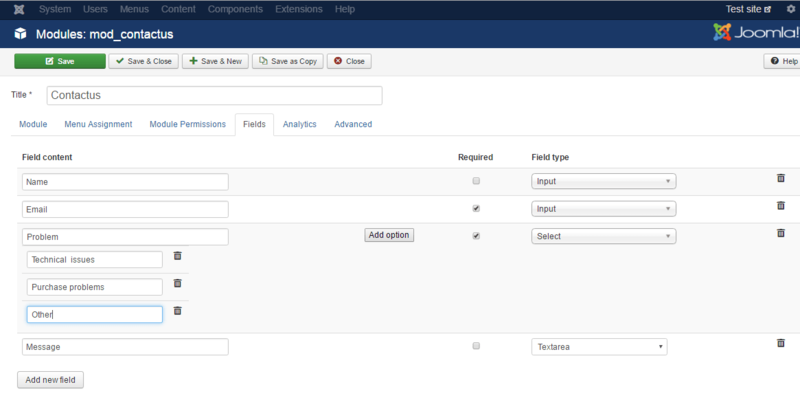 Create forms with beautiful multiple file upload. You can add Recaptcha 2.0 to your form for the best spam protection. Module has responsive design and looks good on all devices.